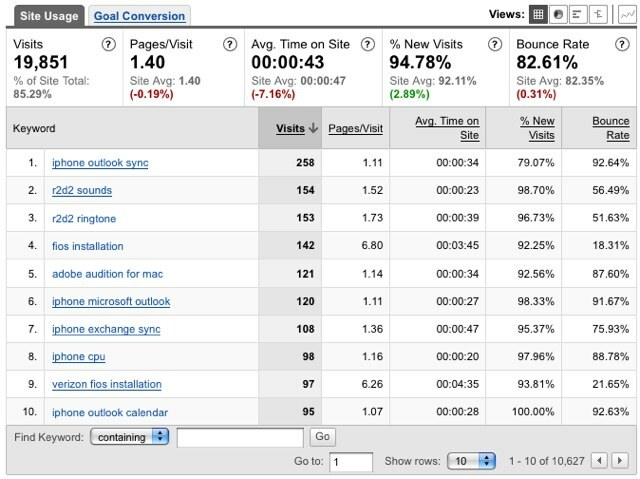 All of the screen captures used in this post represent real, live statistics for this blog, from Google Analytics and FeedBurner (Ooh! My unmentionables are showing! 😉 ). The reason I care about the trend of pageviews is because it lets me know what “normal” traffic to my blog looks like, and shows me when there are deviations from that “normal”. You can see from the graph above that there’s a little wave pattern that happens. The time scale for the graph is about a month, and traffic drops off on the weekends, and picks up in the middle of the week. Anomalies in the trend alert me that there’s something I need to do. For example, a spike in pageviews might happen after one of my posts gets to Digg, Techmeme, or somewhere else that’s sending a lot of visitors. 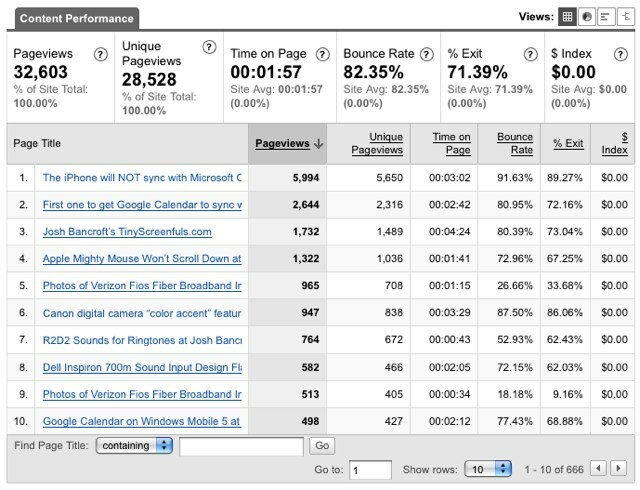 This alerts me that I should jump into that conversation with a little more attention than normal, or, if it’s a LOT of traffic, pay closer attention to site performance, to make sure the site doesn’t go down under the load. Conversely, if there’s a drop in pageviews, that’s an indication that something’s wrong. Perhaps my webhost is having an outage, or I inadvertently broke something on the site (happens more often than I’d care to admit!). Again, the trend tells me if there’s some kind of action I need to take, and that’s why it’s important. As you can see, the vast majority of my traffic comes from search engines. Why is this important? It reminds me to make my posts search engine friendly. Write clear, descriptive titles, and just generally try to keep the quality of my posts at a level that I would want to read if I found it as a search result. It often surprises me to see which of my posts are the most popular. It’s not usually the ones I would have guessed. Why are the popular ones popular? It turns out that the answer lies in the combination of the fact that the majority of my traffic comes from from search engines, and the next metric we’re going to look at. Keywords show me what people were searching for when they arrive at my site from a search engine. I originally wasn’t going to include this item, because I couldn’t think of what meaning it really conveyed. I was going to include it in my other post, “stats that are fun to look at”. Until I wrote the previous paragraph, and realized that it explains why the “Most Popular” pages on my blog are so popular: Search Engine Traffic + Keywords = Most Popular Pages. The most popular pages on this blog are the ones that are very highly ranked in the search engines (mostly Google), since that’s where the vast majority of my traffic comes from. This is interesting, to a point, but it doesn’t change very often. I find it much more interesting to invert the sort order, and read it from the bottom. That way, I can see ALL of the sites that are linking me to me, and make sure I don’t miss out on jumping in to any of those conversations. I do a kind of mental filter on these – some of them are repeats that continually bring in a trickle of traffic, and some of them are search engine results (stuff from Technorati, Techmeme, etc.) that don’t require a personal response. But I always go through the referrers list and look for opportunities to go post a comment on the referring blog. I mentioned before that there’s one statistic that swells my ego more than any other. It’s not even so much that it makes me feel good about myself, but I think the number of subscribers to my feed is probably the most meaningful of all the statistics and metrics that my blog generates. To me, that’s the ultimate compliment you can pay to a blogger. That’s why I write here. I try to be interesting and useful enough to other people that they deem what I’m writing worthy of reading on a regular basis. I feel like each person that subscribes to my feed forges a link of relationship with me, and THAT is what makes the geeky parts of my brain feel all tingly and nice. It’s also related to why I think I like social networks like Twitter and Facebook so much – for me, it’s all about making connections and building relationships with other people. Keep an eye out for the “companion” to this post, on “stats that are just plain fun to look at”. I’ll link to it from here when it’s ready. Hi there! Nice article 🙂 Although I’ve had a blog for a while (like 2 years or so), I’ve never really been serious about it. And in fact where it was hosted didn’t provide any stats anyway. I have just moved to WordPress and I think the stats are great! And I’d agree, the most flattering stat would have to be those folk who has added you to their readers! 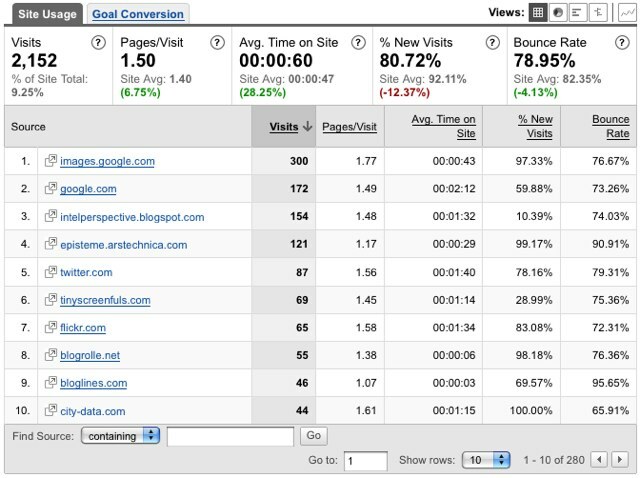 I’m somewhat surprised you didn’t mention the “New vs Returning” report, filed under Visitors within Google Analytics. Good analysis, and I didn’t seen anything to argue with you about 🙂 I use Mint for stats on a couple of my blogs and I love the way that many of the stats are quickly (one click) filterable by recent dates… so if I have a spike in traffic it’s very easy to isolate the source, as well as to look at what’s been popular lately. And yes, like you, I find the subscriber number is a good count of overall performance. Since launching VanPortlander I’ve been pleased to watch that number slowly and steadily creep up by a few each week. I must be doing something right. 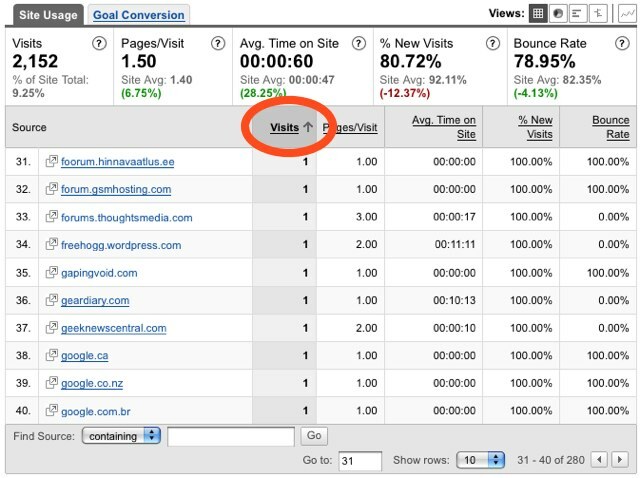 @Stevelle – I left new vs. returning out because, since most of my traffic comes from search engines, it’s always a very high percentage (like 90+) of new visitors, and it doesn’t change very often, even over long periods of time. Not very interesting to me, but in general, I definitely think it’s a metric to look at, to get an idea of how much return traffic you’re getting. More interesting than the ‘trend’ you discuss (which is just average pageviews, or pageviews over time), is the differntial of that. i.e. the slope. As a trend, is it going up over time, add I adding readers. The absolute number serves as more than an egoboost; as an author/blogger, there’s some utility in knowing the size of the audience you are writing for. You may choose different topics or a different way to write about them if you are writing for 5, 50 or 500. 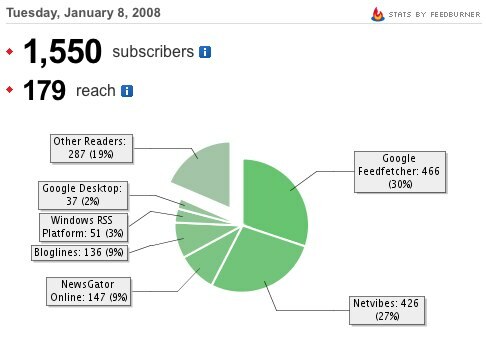 Also, One I struggle with is a better measure of the relationship between pageviews and feed subscribers. How many people clicked through and why? How many of the subscribers that I have are also visitors, or is there no overlap between those two sets? etc, etc. Some people use partial/snippet feeds to force people to click through so they get a better measure, but this is a crappy approach. Maybe google analytics does a better job? This may be an artifact of my using feedburner and sitemeter separately. I dunno. Great article, I always care about my website.